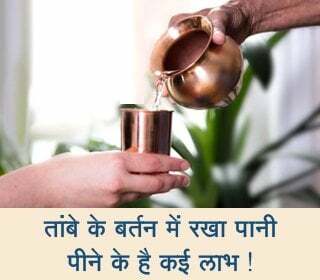 Inculcating the habit of helping others in the child is an important sanskar. When we say we are helping others, what are we doing exactly ? We are offering our money or time to someone or at times facing hardships for others. We can help others in many ways without even spending money or time. For example, we are seated in a crowded train. We can offer our seat to a fellow passenger. By helping him, we lose neither time nor money. The point to be noted is that without sacrificing something for others, the act does not amount to help. When we sacrifice something for others, work for others, it gets transformed into happiness. On the day we sacrifice five minutes for others, we will sleep peacefully because we have performed some benevolent or righteous act or a good deed. Let us say we have earned Rupees 1 lakh for ourselves after working hard for a day. Birds and animals peck at food or graze respectively only to feed themselves. The more we help others, the more happiness we experience. The one who does something for others is a human being, and the one who constantly strives for the welfare of others without expecting anything for the self is a Saint. There are many benefits of helping others. The greatest benefit is that seeing you help others your child too will follow suit. The boy who helps others happily will certainly take care of his parents in old age. Today, all of us are in the same situation. Suppose your son is admitted to a hospital for two or three days, then none of you can be sure that if you phone or send a message to your elder brother or sister they will rush to help you. This is because when your brother’s son was admitted to a hospital you had justified why you could not come. If you gave a hundred reasons, your brother could give a thousand to avoid being of help. In your generation let us say that you have three to four siblings (including yourself). After three or four messages, out of shame one of your siblings may come to help you. Imagine the plight of the future generation. Today, the husband and wife work. They have one or two children. Twenty-five years later, when your son grows up and his son needs hospitalization, who will he call for help ? To avoid this, will you try to have ten children ? This is not a practical solution and is not required too. If you habituate your child to helping someone everyday, then hundreds of people will rush to his rescue without being asked when he is in need of help. Man is governed by the intellect; hence, he should perform every task evaluating whether it is appropriate or not. When you come into contact with anyone, think of what you can do for him; doing accordingly means creating a sanskar. If every act of yours is governed by sanskars, you will never have to repent and your life will be enriched with Anand (Bliss). 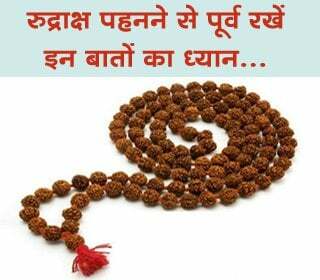 How to impress the sanskar of chanting on the mind of a child ? Which type of story you should narrate to your child ? How should parents inculcate discipline in a child ? How to inculcate good habits in children ? How to develop children’s personality ?